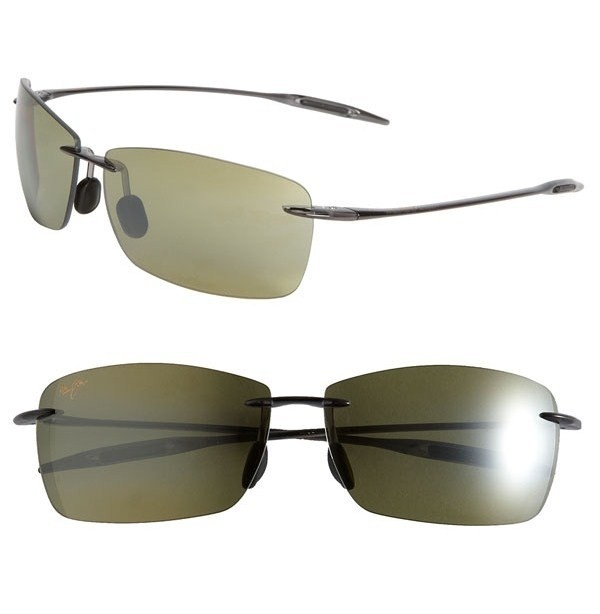 Go lightweight with these Maui Jim ‘Lighthouse’ rimless sunglasses. Made of high-grade nylon for durable, lightweight wear, the comfortable frames feature rectangular smoke grey lenses, which eliminate glare and enhance colours. Scratch resistant and saltwater safe, these are the perfect pair for the beach. Available online. This entry was posted in Sunglasses and tagged Maui Jim, Maui Jim Lighthouse. Bookmark the permalink.